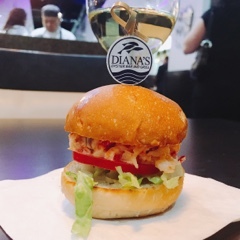 Markham residents, Diana's Oyster Bar & Grill has a 2nd location to make your seafood dreams come true! 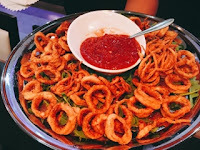 Diana’s Seafood in Scarborough has been an institution offering fresh seafood at low prices. 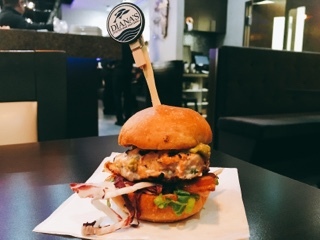 About a decade ago, the seafood purveyor expanded to include a restaurant near the site and just this year a second Diana’s Oyster Bar and Grill has been added to the delight of Markham residents. 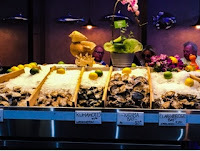 Fresh seafood but cheap? Seems like an oxymoron given low prices normally implies items that are frozen and defrosted. 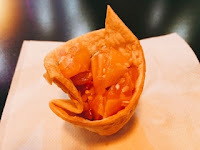 Diana’s is able achieve to achieve both as they also have a wholesale and retail arm where they purchase in bulk and essentially cut out the middle person; in fact, they are the supplier to many other Toronto hotels and restaurants. 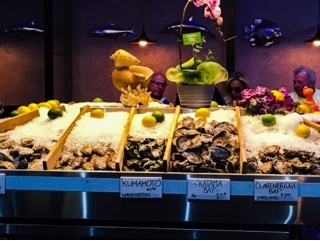 Oyster lovers rejoice, they have a huge selection that changes with the seasons. 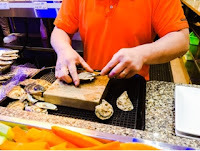 At the new Markham location, all are prominently displayed on the oyster bar in the middle, ready to be freshly shucked and slurped down. For those who don’t like the raw mollusks, Diana’s has plenty of cooked options - I was stuffed to the gills from all the great eats sampled at their grand opening party. The sole oyster I tried was a baked version where it had just been cooked through and topped with bacon pieces. 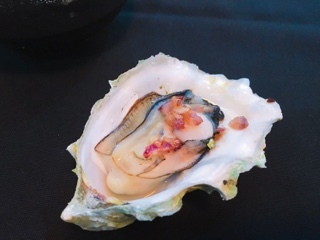 With no other seasoning but the natural saltiness of the oyster’s juices, it was enough. The lobster slider was fantastic, chunks of sweet lobster just moistened slightly with a light citrusy mayo on a toasted brioche bun with crunchy lettuce. 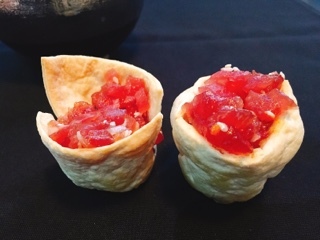 Move over lobster rolls, I could easily eat three of these any day! 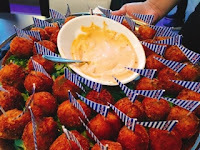 Of course Diana also served the fried appetizer favourites: calamari and crab cakes. The later were crispy nuggets of predominantly crab meat with finely chopped vegetables studded throughout. Talk about all meat and no filler. As the summer months grace the city, the cool salmon or tuna tartare is refreshing – gem-sized cubes of fish tossed in sesame oil and soy. Or slices of their lovely house-smoked fish may be in order. 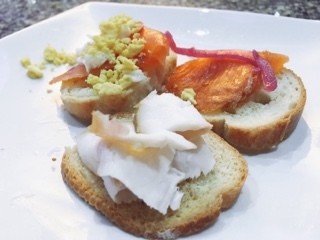 I’ve never been a fan of smoked salmon but it wasn’t overly oaky at Diana’s and the white fish version had a great creamy texture that may have converted me. 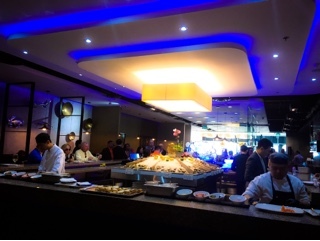 There’s also the “Grill” side of the restaurant, which I’ve been advised creates some of their best-selling dishes. The seafood mixed grill composed of salmon, shrimp and scallops is popular; at the party I had a taste of the juicy medium-done grilled salmon and can see why it satisfies. And they’re not all about seafood, there’s also a Black Angus striploin that’s popular well-liked too. Honestly, everything consumed at their grand opening event was delicious leaving me wanting more. 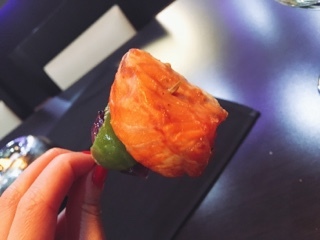 Despite being stuffed, the heavenly smelling salmon slider called to me for one last (alright maybe three) bite. The patty was made from large chunks of salmon combined with vegetables and spices. Oh and there really is a Diana: a small quiet Greek women who has turned their initial business into a budding empire. Congratulations Diana on the second location and for bringing the reasonably priced fresh seafood to those living north of Steeles Avenue!